Target – $15 Target Gift Card WYB $50 in Household Cleaning Products – Stackable with Coupons + Cartwheel! 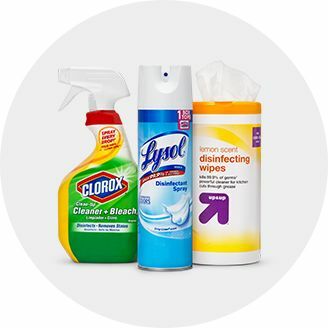 Target is currently offering a $15 Target Gift Card when you purchase $50 worth of qualifying household products! This coupon is in Target’s weekly ad OR you can grab one by texting CLEAN to 827-438 to have this sent to you. This coupon is good through 8/4. Be sure to stack coupons and Target Cartwheel offers with this threshold coupon to get the best deal. Looking for coupons to stack with this deal? Be sure to check out my Coupon Database! Just type the name of the product and the coupon database will let you know about ANY and all coupons/rebates available!